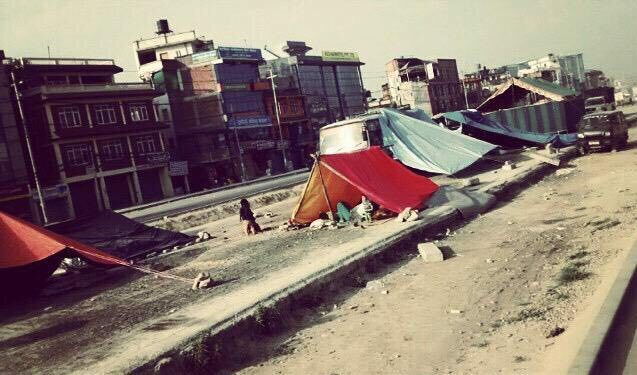 On 25 April, Nepal was struck by a 7.8 magnitude earthquake which killed more than 8,000, injured more than 18,000 and left countless homeless and in need of aid. Last weekend, our church came together to pray for the people in Nepal and the safety of the team. Not known to many, every Sunday for more than 5 years we have been bussing in a group of Gurkha kids who attend our Children’s Church. After the quake 2 weeks ago the kids who are still in Singapore have been worried for their family and friends who have gone back to Nepal as some are still missing. Our Children’s Church teachers have been ministering to and praying with the kids. 12 MAY, TUE, 3:00 PM: Nepal was hit once again by a magnitude 7.3 earthquake. Reports indicate tremors could be felt in northern India and as far away as New Delhi. 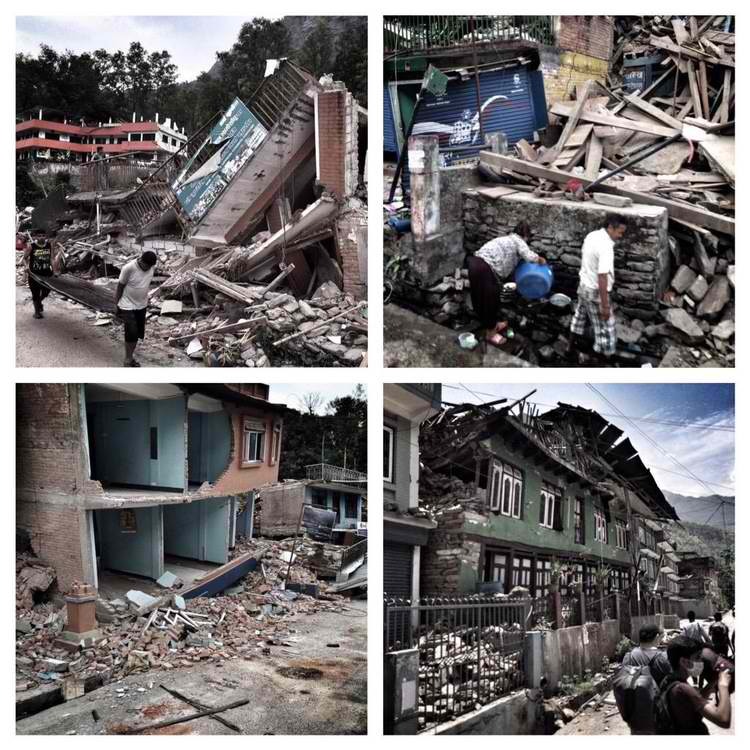 Please pray for the people of Nepal as well as our team who are flying up tomorrow. 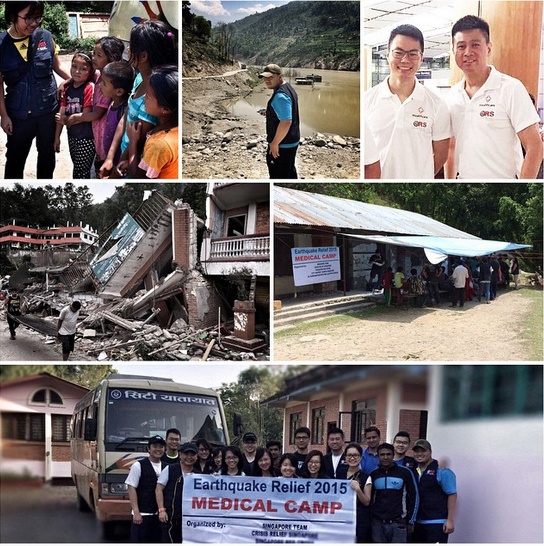 13 MAY, WED 1:40PM (GMT+5:45): We have confirmation that our team has arrived in Nepal safely. 13 MAY, WED 6:30PM (GMT+5:45): The team is now at their base of operations. They are making preparations to move out early tomorrow morning. 14 MAY, THU 4:00AM (GMT+5:45): Our team is up early today. Heading to the zone affected by the quake to do a medical clinic. 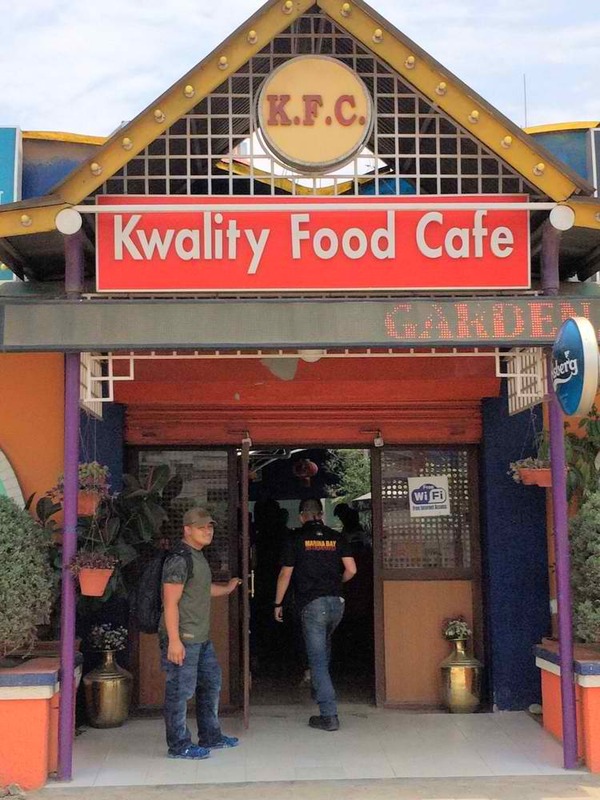 “It’s 4AM here in Nepal. We’re preparing to move out soon. After landing, we spend most of yesterday preparing what we’ll need over the next 3 days. We also spent time in worship and prayer. 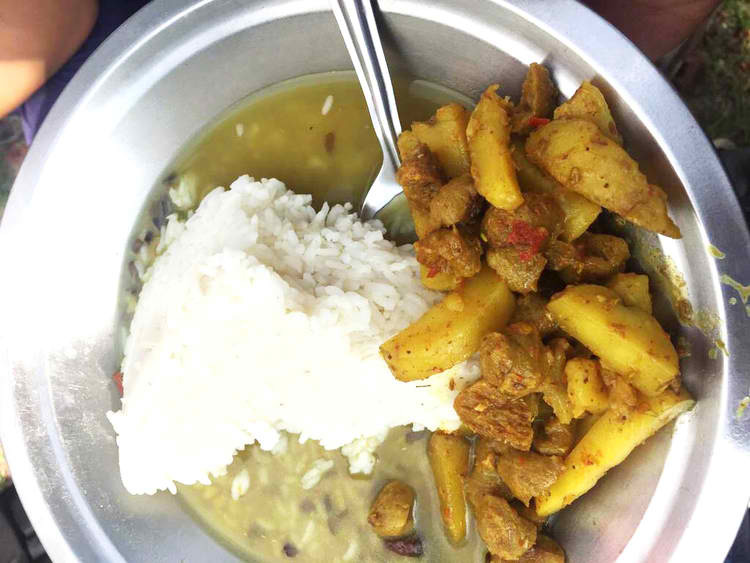 Today, we head out to Kartsali, Sindhupalchok – pretty near the epicenter of the 2nd quake that happened 2 days ago. It’s going to be a 5-hour journey. 14 MAY, THU 5:00AM (GMT+5:45): All prayed up and ready to go. It’s going to be a hectic day. We don’t quite know what we’ll see. 14 MAY, THU 6:00AM (GMT+5:45): The team is preparing to head to Kartsali, Sindhupalchok to do medical clinics. 14 MAY, THU 11:30AM (GMT +5:45): The team reached the site where they will be holding a mobile clinic. 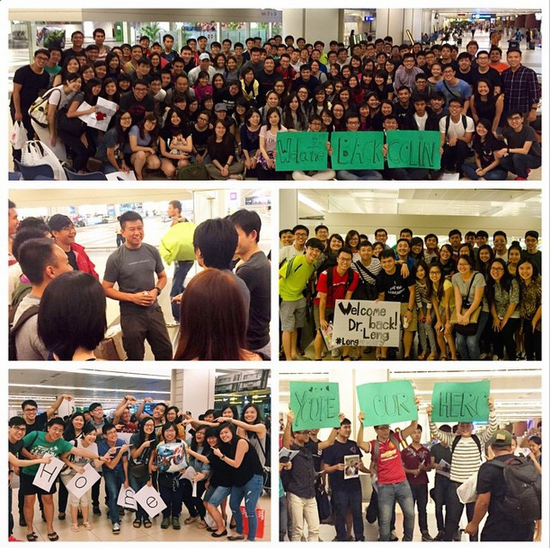 14 MAY, THU 9:00PM (GMT+5:45): Team updates that it has been a full day of medical missions. They are staying out on field until Saturday. 14 MAY, THU 9:30PM (GMT+5:45): The team reports they have been tending to those injured when buildings collapsed. 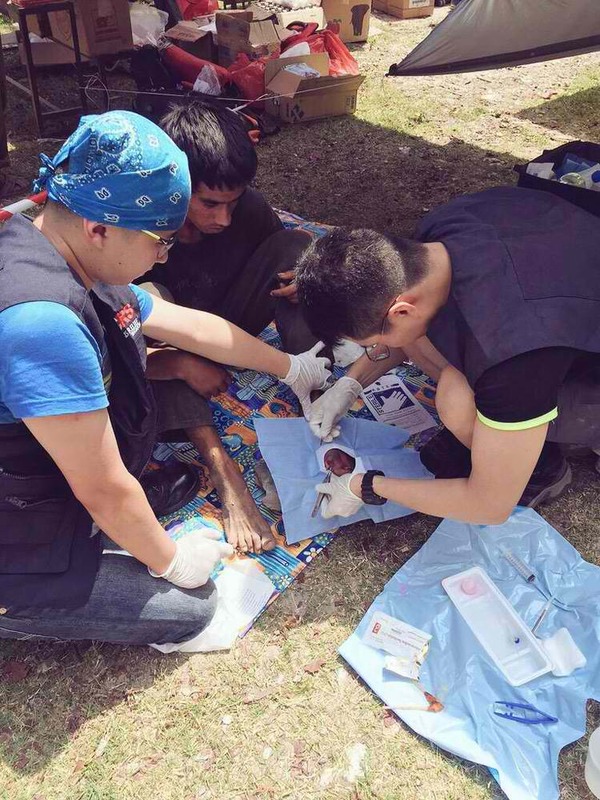 “Today, our doctors have been tirelessly treating patients who come to the mobile clinic. Injuries to the hands and legs are common due to falling debris and structures collapsing. In one situation, Dr. Leonard had to find a way to surgically cut open a local’s injured leg which was badly infected. Doing this given their current circumstances and supplies is not easy. In another instance, Dr. Jia Yan had to put a patient on drip due to extreme dehydration. 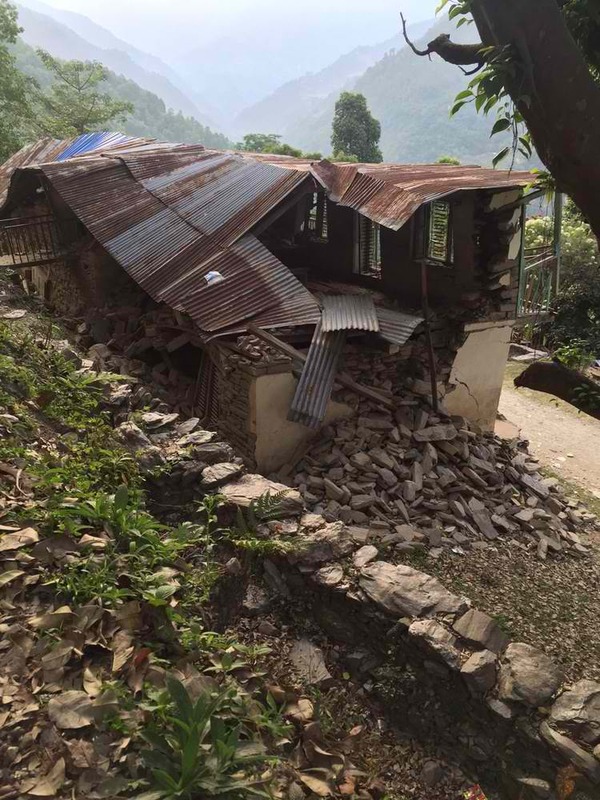 14 MAY, THU 10:00PM (GMT+5:45): Team just experienced an aftershock. Last night a shock of estimated magnitude 5-6 was also felt. 14 MAY, THU 11:00PM (GMT+5:45): Over 160 people estimated to have come to the mobile clinic today. Tomorrow, set-up starts at 8AM. “First day at the village in Sindhupalchok has been extremely busy. Over 160 people are estimated to have visited the mobile clinic where our team is based. Many people are injured from debris falling or buildings collapsing. Many are also bloated or suffering from dehydration. While our doctors have been tending to the ill, the rest of the team have been helping at the dispensary and with traffic control. Although the clinic is located on higher ground, which is the safest place in the city, the situation is still unstable. Aftershocks are still felt, some estimated at magnitude 5-6. Just last night, the wall next to where our team was working collapsed. For safety reasons, we had to push down the rest of the wall. Electricity is also down. 14 MAY, THU 11:30PM (GMT+5:45): Electricity is down, but the team is still preparing for tomorrow’s clinic. Set-up is at 8. Clinic opens at 10. 15 MAY, FRI 7:00AM (GMT+5:45): …There is still much work needed to rehabilitate the area. 15 MAY, FRI 1:00PM (GMT+5:45): It’s been busy. The team took turns to eat lunch as more people keep coming. 15 MAY, FRI 1:30PM (GMT+5:45): Yesterday the team attended to 160 patients. Today in 2 hours, they have attended to 130 patients. 15 MAY, FRI 8:00PM (GMT +5:45): Earlier today, the team had a closer look at the devastation that hit the surrounding village. 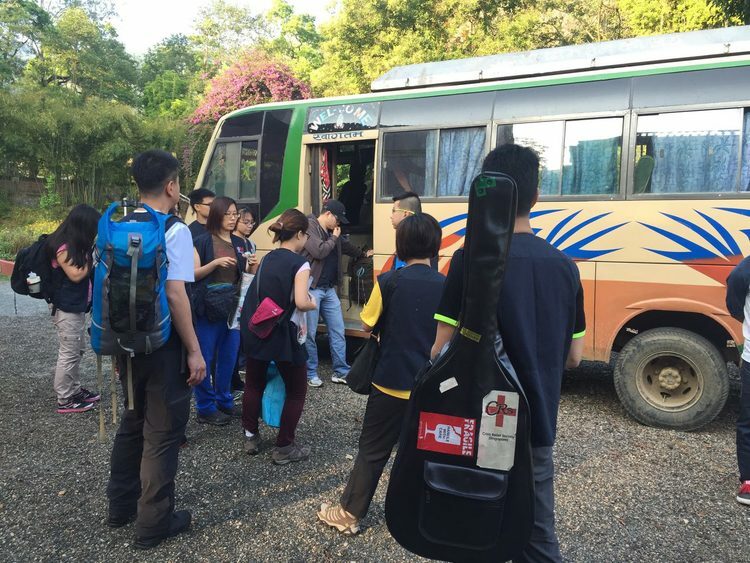 16 MAY, SAT 1:00AM (GMT +5:45): After a busy 2 day medical clinic, the team has decided to head back to base camp earlier than planned as they have already managed to treat almost all 300 villagers. Even people from other villages made their way down. The medical team had to perform head stitches, treat gangrene and dehydration. They even encountered 1 case of leprosy. The village only had 1 Christian family, that of the pastor; but over the last few days, the team were the hands and feet of Jesus, bringing the love and compassion of Christ to the people. 16 MAY, SAT 8:30AM (GMT+5:45): The team will be going around Kathmandu today. They will also be visiting a church in the area. 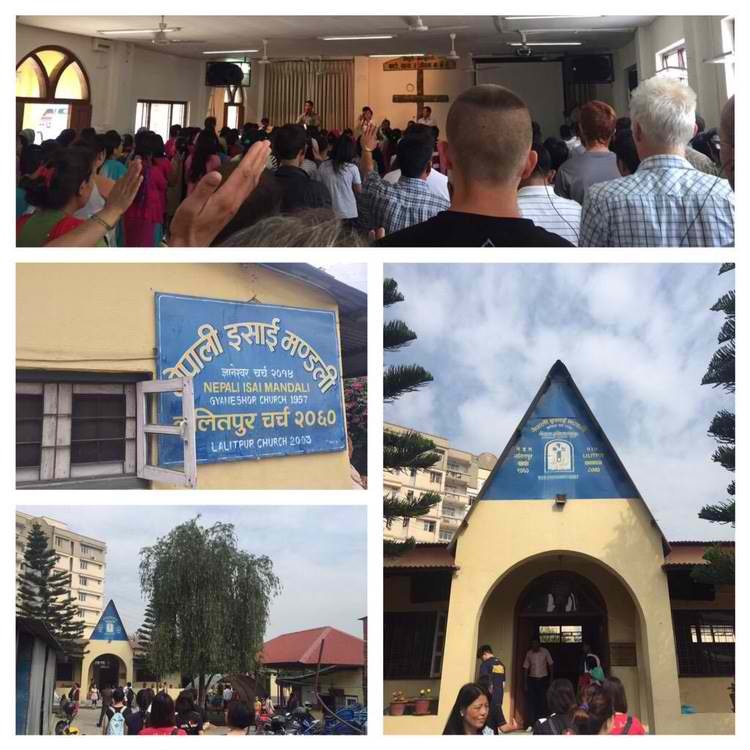 16 MAY, SAT 8:45PM (GMT +5:45): Today at NIM Lalitpur Church-we are inspired by the passion of the Nepali people for God amidst crisis. 16 MAY, SAT 9:00PM (GMT +5:45): 5.7 magnitude aftershock just hit Nepal. Team felt slight tremors. They are safe. Heading back to guesthouse. 17 MAY, SUN 9:00AM (GMT+5:45): The team is on the way to the airport. We can’t wait to have them back! Our team is coming home today! 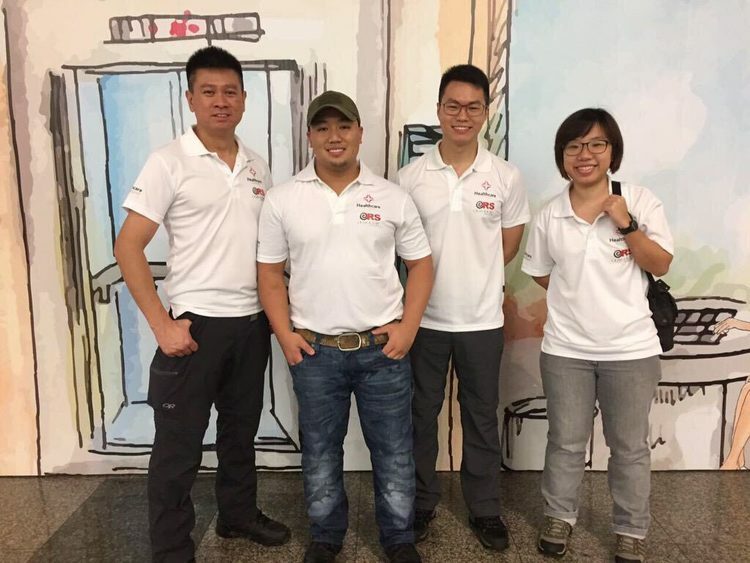 They’ve handed over to the next team from Crisis Relief Singapore, who we are working with. Martin, our Missions Director, on how relief operations work: “The huge organisations such as Red Cross set up in the big cities. They have mobile hospitals, surgical facilities, etc. 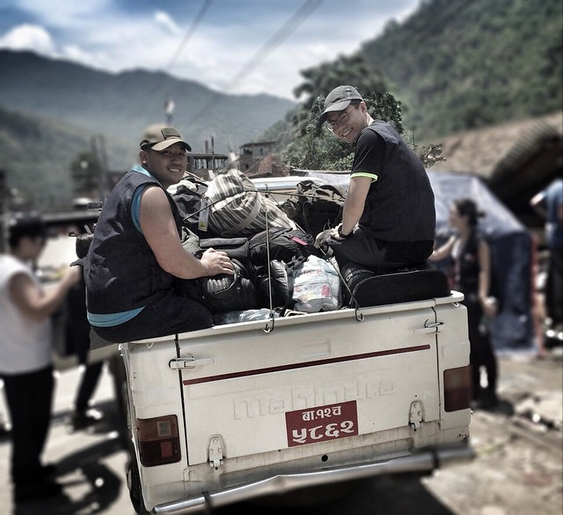 Then smaller relief organisations such as CRS, head out deep into the hills and villages. We do not have sophisticated equipment and supplies, but we are more mobile and are able to reach remote areas. A Heroes’ Welcome for our own #Heroes – Welcome Home Team!! 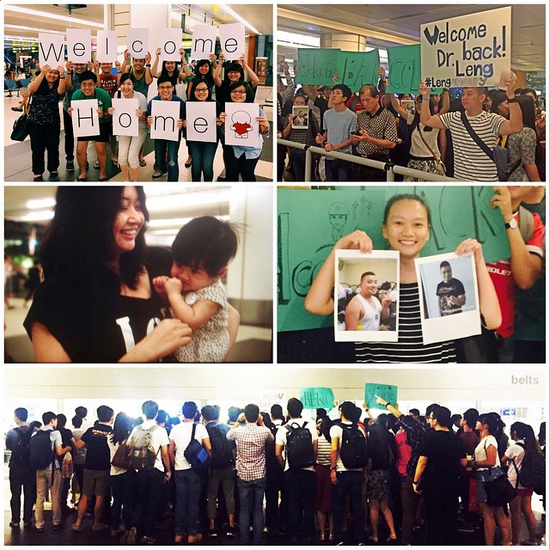 Family, friends and loved ones have turned up at the airport to receive our #HOGCmissions team who are returning from doing #DisasterRelief work in Nepal. Over the last few days, they have inspired us with their courage and selflessness. They are truly our #Heroes!